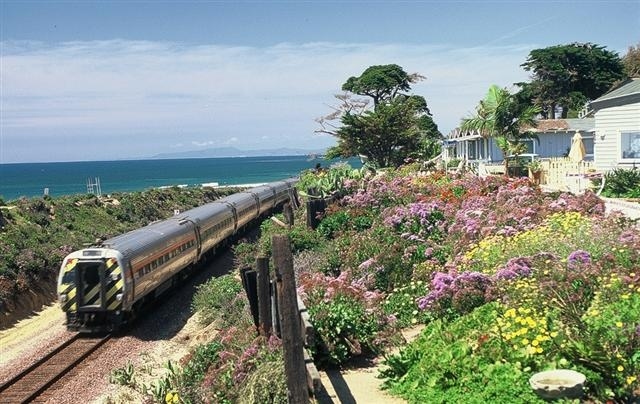 Del Mar is a small, exclusive coastal town situated just west of I-5 and Carmel Valley. 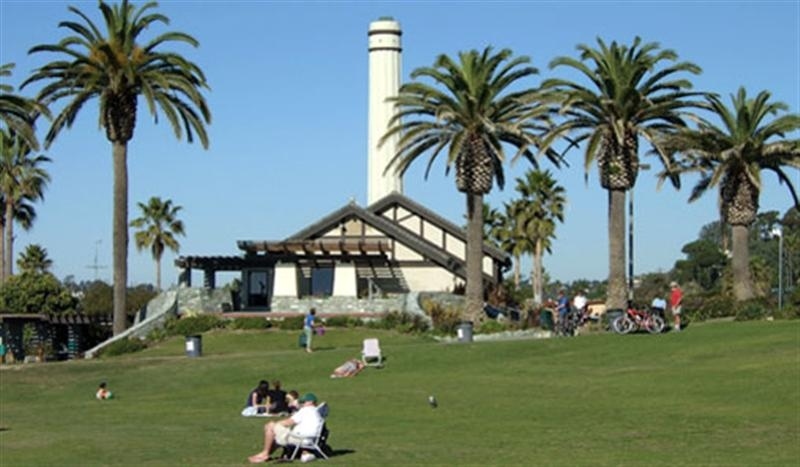 It's nestled between La Jolla and the Los PeÃ±asquitos Marsh Natural Preserve on the south and Solana Beach and the San Dieguito River Valley on the north. Del Mar is blessed with breathtaking views of these natural lagoons, the Pacific Ocean and Torrey Pines State Preserve Park. The Del Mar Zip Code is 92014. Search MLS data for Del Mar real estate and Del Mar homes for sale. Del Mar was once part of the 8,800-acre San Dieguito Ranch that was granted to Juan Maria Osuna in 1841 by Mexican Governor Pio Pico. The railroad brought influential families to the area including land investor William Weed, whose wife gave Del Mar its name in 1885. The same year Jacob Taylor purchased 338 acres and starting building a resort town and the first Hotel - Casa del Mar. It burned to the ground five years later. The town languished until 1905, when a new Tudor design hotel was built at the Coast Highway and 15th Street. In 1933 the 22nd Agricultural District made plans for a fairgrounds to be located in Del Mar and the first County Fair was held in October 1936. The fine climate and privacy drew film stars to the area, including Bing Crosby, who was a horse racing enthusiast. He was instrumental in the development of the now famous Del Mar Racetrack, which opened on July 3 1937. 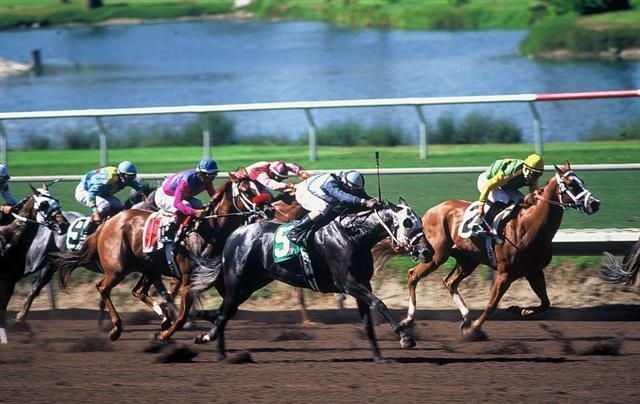 Del Mar earned the nickname, "where the turf meets the surf" because of the popular Del Mar thoroughbred racetrack. That event and the annual San Diego County Fair draw millions of visitors from all over California and the nation. 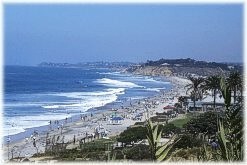 And, while becoming a second home for the rich and famous from all over the world, Del Mar has managed to keep it's unique small town atmosphere. Del Mar is just a few miles from the highly acclaimed University of California at San Diego (UCSD) and famous bio-medical facilities such as Scripps Clinic and The Salk Institute. Numerous scientists, doctors, and college professors from these prestigious facilities call Del Mar home. Residents of Del Mar enjoy a casual and relaxed, yet elegant lifestyle. They value their privacy and strongly support the low-growth policy that has preserved their charming city and kept Del Mar real estate in such high demand. Search MLS data for Del Mar real estate and Del Mar homes for sale. You'll find great restaurants, exciting specialty shops and personal services lining Camino Del Mar, the main street in Del Mar. Visitors love to spend the afternoon at the elegant, European-style Del Mar Plaza, with its grand ocean-view patio and upscale shopping and dining. Pacifica Del Mar is a consistent great place to eat and a popular singles' meeting place; Il Fornaio is always packed with lovers of the finest Italian food. Across the street, L'Auberge Hotel presents romantic dining and luxury resort accommodations with sweeping ocean views. The weekly farmers market on Saturdays is a fun gathering place that offers fresh produce and flowers to locals and tourists, alike. The whole Del Mar community is especially proud of the city library, the wide sandy beaches and the fine city parks that overlook the Pacific Ocean. Residents enjoy some of the best hiking in San Diego County at nearby Torrey Pines State Reserve Park and Beach. Del Mar real estate is very desirable and expensive and its been a great investment over the years. Most Del Mar homes were built between 1950 and 1980 and only a few new homes are constructed each year. It's much more common to see existing homes undergo major remodeling, often saving only a wall or two. There's no question that the value of Del Mar real estate is in the land and it's not unusual to see entire structures razed and a new modern home constructed on the site. There are a few condominium communities in Del Mar, mostly in the beach area. Many are enjoyed as second homes on the weekends by those fortunate enough to enjoy the comfortable Del Mar resort lifestyle. Search MLS data for Del Mar real estate and Del Mar homes for sale. Del Mar residents appreciate some of the best schools in the state. Del Mar has its own elementary school district, the Del Mar Union School District, while middle and high school students attend the outstanding schools in the San Dieguito Union High School District. The Carmel Valley Middle School is highly desirable and Torrey Pines High School is consistently ranked as one of San Diego County's best. The new Canyon Crest Academy offers a popular alternative high school education. See more information below on Del Mar schools or go to School Reports. If you want to buy a home in Del Mar or if you already own a home in Del Mar, protect your investment by looking at Real Estate Statistics. There, you can track the average sales price, days on the market, sale to list price ratios and more. Included are vital statistics, charts and graphs on Del Mar real estate, shown on a monthly and annual basis. And, be sure to sign up for the free e-mail reports on Del Mar real estate trends by going to Real Estate Trends. Want more information on Del Mar real estate and homes for sale? Click here to contact Neal Hribar, your Berkshire Hatheway HomeServices, California Properties Del Mar real estate agent. What homes are currently for sale in Del Mar? Click here to do an instant search of Del Mar real estate for sale.